A week after the Sony Xperia C4 and C4 Dual received the long-awaited Android 6.0 Marshmallow update, another one has followed. Sony is now rolling out Marshmallow update for Xperia C5 Ultra and Ultra Dual, the big brother to the Xperia C4. As the reports suggest, the Xperia C5 Ultra and Ultra Dual with model E5533 is the only variant of the device that is being updated to Android 6.0 Marshmallow for now. However, a wider rollout of the Marshmallow update is expected globally in the coming week. The update has arrived with firmware number 29.2.B.0.122, we have included the FTF firmware file for you to download below. Let us know your impressions once you’ve had the chance to update. We will let you know once the update lands on the other Xperia C5 Ultra variants. If you are feeling adventurous, you can get the Marshmallow update for Xperia C5 Ultra and Ultra Dual right away. Simply download the FTF firmware file below, but do proceed with caution when flashing them to your device. 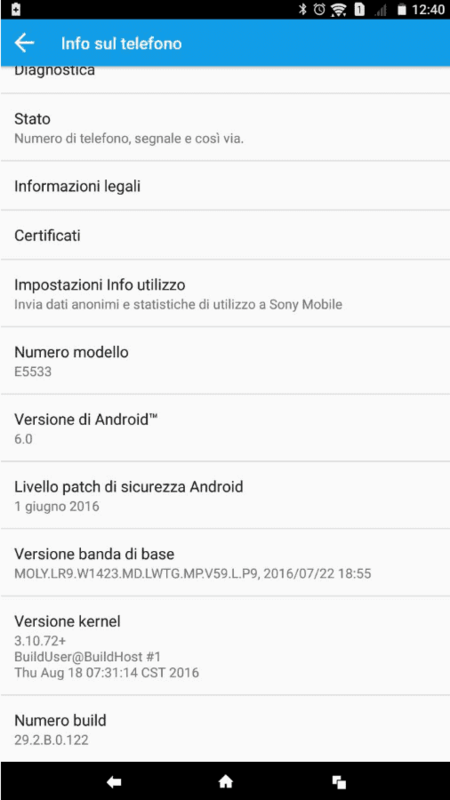 Have you received the Marshmallow update for Xperia C5 Ultra already? Do keep us posted on whether you have already received the update and how much better it makes your device.